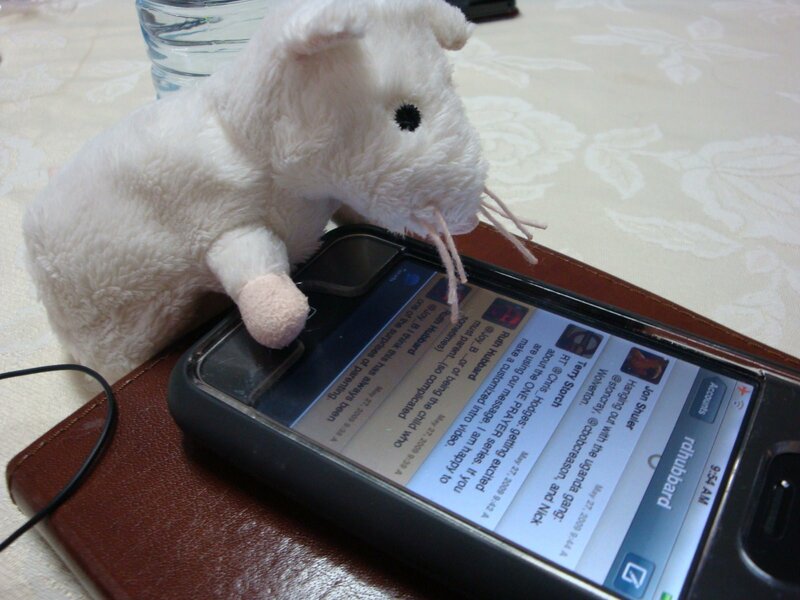 One of the things that Filbert enjoyed while we were in Brazil was the ability to keep up on what others were doing and thinking through Twitter. Here he is checking Twitter Traffic on my iPhone. I, on the other hand, was paying attention to the meeting. Um…yeah, I'm not sure who that was with the camera. Oh wait…it was ME. Hmmm. Maybe I was paying attention with MOST of my brain. I'm sure that's it.